— iReal Pro MusicBook Play-Along ($11 for iPhone or Android) gives musicians a back-up band. It’s a favorite of the founder of online radio app, Pandora. You get 50 practice songs, in categories like jazz, classical, bluegrass and film. Thousands of other songs can be downloaded for free. You can change the instruments, their volume, and the key and tempo of the piece. 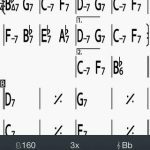 Create your own songs by changing chords, or copying and pasting measures. 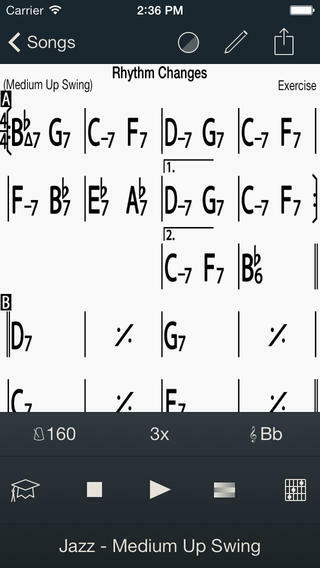 —iGigBook ($15 for iPhone/iPad) lets you carry all your music with you on your mobile device: real books, fake books, transposing chord charts, and single sheets of music. The search engine lets you find the one song that you need among the thousands contained in your sheet music collection.